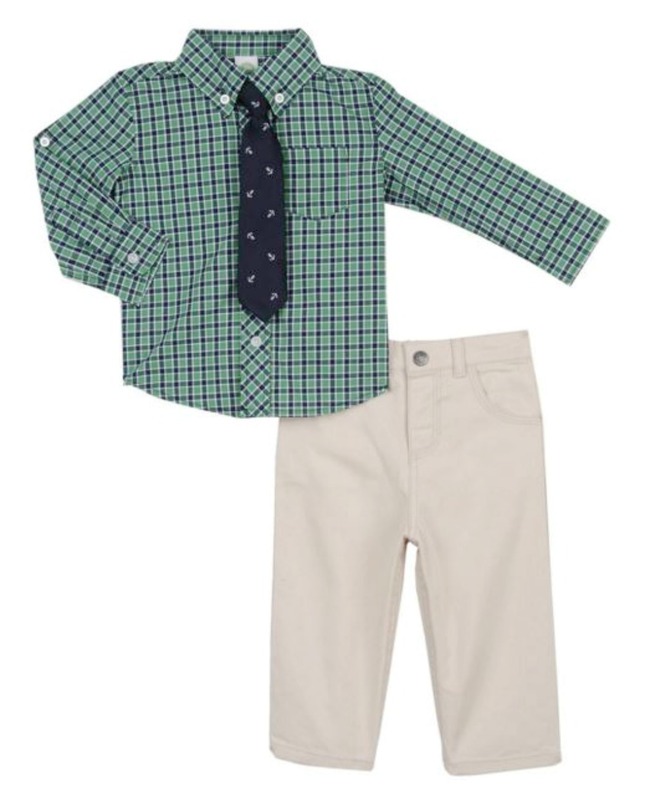 Handsome green plaid button down toddler boys dress shirt looks sharp with matching tie and khaki pants. Elastic in back waist of pants makes for a great fit. By Little Me Boys Dress Clothes Collection. Machine wash.